This 9 inch, heart-shaped cookie cake is loaded with sweet milk chocolate chips and covered with rich vanilla frosting for the perfect Valentine's Day dessert! 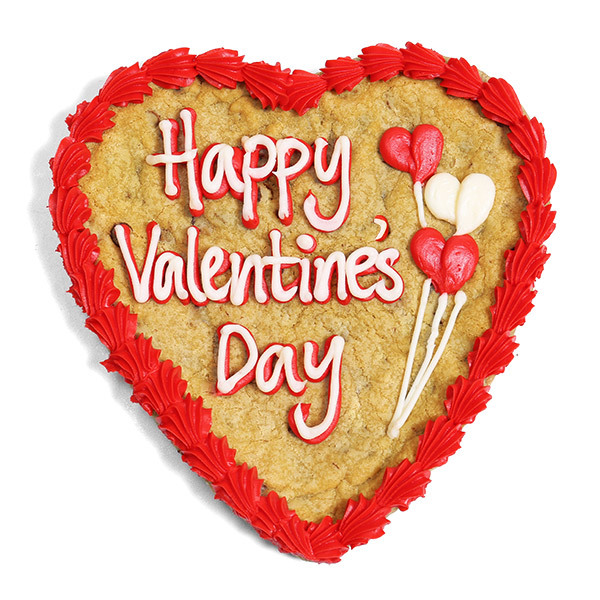 Shipped right to your door, this cookie cake is just the thing you need to make your Valentine's heart flutter! Sent this to my boyfriend in the states while I’m abroad for the semester in France. Made for a perfect and easy valentine’s day gift. He said it was delicious! The only thing that bothered me is that they delivered it two days early. I asked to have it delivered on Valentine's Day with confirmation from both email and a live CSR but it was delivered today. Still looks great, boyfriend said it tastes great so I'm happy. Would order again. 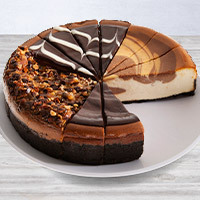 I bought one of these cakes for my daughters in DC and one for my son in NYC and they were alll delivered when I wanted them to be and were fresh and yummy. I purchased and sent the Valentine Cookie to my son whose at college. He said it was super fresh and delicious! Thank you Gourmet Gift Baskets ~ will buy from you again! Arrived fresh and tasted great. Would definitely consider giving again. 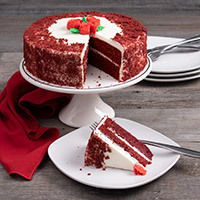 I purchased this cake for my boyfriend to share in his office for Valentine's day. It was a good price, and I added a little note for him. He loved it! I was disappointed because the package was delivered an entire day early (was delivered Monday, I chose it to be delivered on a Tuesday). But customer service was understanding and very nice. 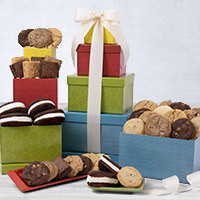 I will definitely be purchasing more gifts from Gourmet Giftbaskets. The cookie is amazing and the frosting is SO good. We were pretty much fighting over this cookie, and now it's gone :( I was pleased to see how perfectly it arrived. It wasn't broken, crushed or anything. Just perfect. I highly recommend. *I did receive this cookie at no charge, for my honest opinion. Bought this for a Valentines treat for grandchildren who live out of state. They loved it. Was fresh and delivered on time. Sent this cookie cake to my grandson who always asks for a cookie cake for his bd-day. He said this was the best cookie cake he ever ate. The cake was nicely packaged and arrived on the date requested. I never write reviews but I ordered this months ago for my boyfriend for vday!!! Saved so much and it was so perfect !!! 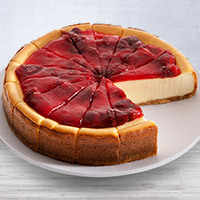 Only $28 and so cute and tasty!!!!! He loved it!! What else is there to get guys on vday?? SO GOOD!!!!! Sent this to my daughter at college and she LOVED it! Said it was so pretty and absolutely delicious! ordering was so easy and it was delivered right on time.